Shadowsong by S. Jae-Jones. Wednesday Books, 2018. Hardcover. 384 pages. Oh Shadowsong, where do I start? This book was so dark and intense, but also so beautiful at the same time. Shadowsong picks up about six months after the events of Wintersong (and if you haven't read the first one, you really need to before picking up Shadowsong) when Liesl is back in the regular world and her brother is off showcasing his musical talents. However, things are not going well for Liesl, her sister, or her brother. Josef is distant and nothing like the brother Liesl grew up with, which greatly troubles her. This main issue of this book arises when signs begin to appear that the barrier between the regular world and the Underground are starting to crumble, and Liesl must make many journeys--emotionally and physically-- to stop this from continuing on. The most beautiful, striking aspect of this novel is S. Jae-Jones' prose. Much like with Wintersong, it completely enraptured me and took me to this dark, dangerous world that Liesl inhabits, including both the the troubles with the Underground and within her own mind. Jae-Jones writes in a manner that is incredibly lyrical in quality, painting her world with sharp descriptions and haunting images that I just found so beautiful. Liesl is really the main focus of this book, and I mean that in the sense that this book is much more character-focused than it is plot-focused. I personally really liked that. I was ready to read more about Liesl's own mental troubles and her relationship with Josef, I wanted to dive deeper into this, and that is exactly what I got. Because of this heavy focus on Liesl and her brother, however, I can see why this book has been a bit polarizing among fans of Wintersong. I know a lot of people wanted more of a focus on Liesl and the Goblin King (which I wanted, also), but the Goblin King isn't really even present until the last part of the book, and I still found this book fantastic. Instead, this book is filled with so much raw sorrow, grief, desire, and so many more emotions. If you're hoping for an action-heavy book, this isn't it. This is a haunting book that takes readers into a very dark place of Liesl and Josef's minds, and it really turned out beautifully. Lastly, I wanted to touch upon S. Jae-Jones' author's note that appears at the beginning of this book. In it, she describes the nature of this book and her own personal mental struggles, and she also includes a warning for suicide in this book and a suicide hotline number. I thought that this was such a meaningful and important thing for Jae-Jones to do, and I really recommend you make sure to read her author's note! Shadowsong is a dark read. It is not a book that has many lighthearted moments (which made this not the greatest choice for my nighttime read!) and it just really touched me in so many ways. I think it's best not to go into Shadowsong with too many expectations, because it's really a fascinating, hard to describe book. 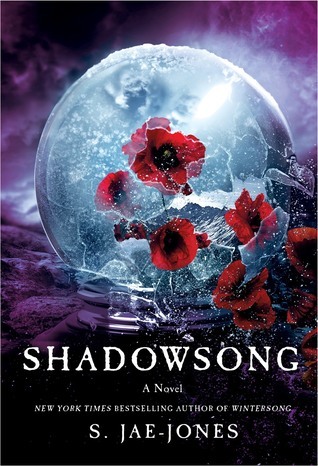 Overall, I've given Shadowsong five stars! This is a book that was definitely sit with me for a long time. Yay, I'm so glad you liked this one! I skimmed your review because I plan to read it soon.